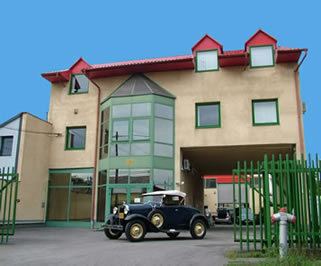 We are pleased to announce that Horoszcoop Ltd, in addition to our international distribution operations in Hungary since 1989 for foreign companies based in America, Japan, Croatia and Germany, is now sharing our passion for classic, antique and vintage cars with the rest of the world. As Horoszcoop already had an excellent team of mechanics and an outstanding maintenance department, we decided that we would like to utilise these resources for the restoration of antique and vintage cars, and play a part in the preservation of automobile history. Accordingly we now proudly offer a great selection of beautifully restored classic cars for your driving pleasure and also your transportation needs. We currently purchase, restore and sell our classic cars and we welcome new customers and business partners from all over Europe and the rest of the world. Please feel free to contact us with any questions or discuss any ideas you may have regarding vintage or antique cars. We are at your disposal and ready to share information and our passion for this wonderful hobby with you.